Over the years I have realized that my style has never been constant and it changes very frequently, usually unknowingly. I've been wearing bright tints and bling as much as I've worn certain specific colors I love, taking inspiration from the vintage and punk era. Yet, I like to tone down everything I wear in my own way. 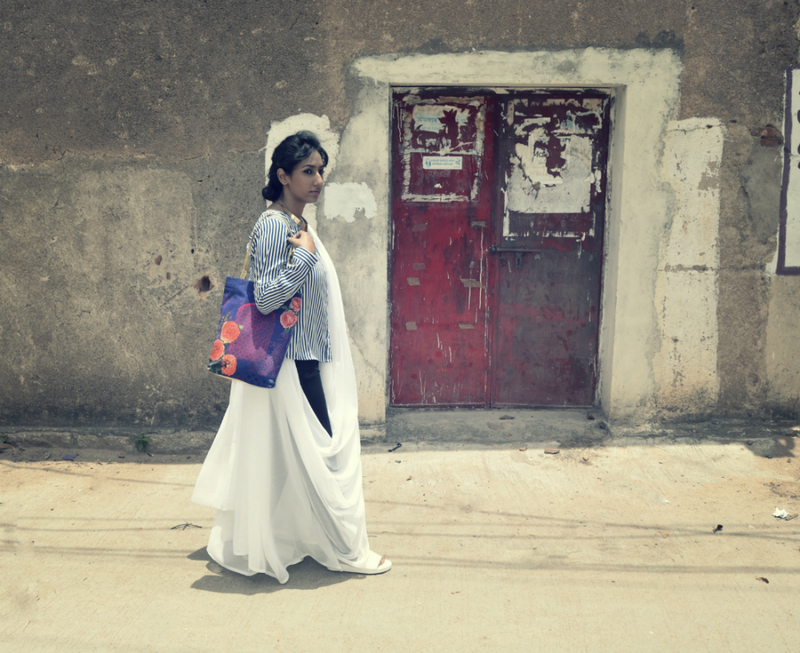 From bohemian to classic, tomboy to traditional, everything excites me. 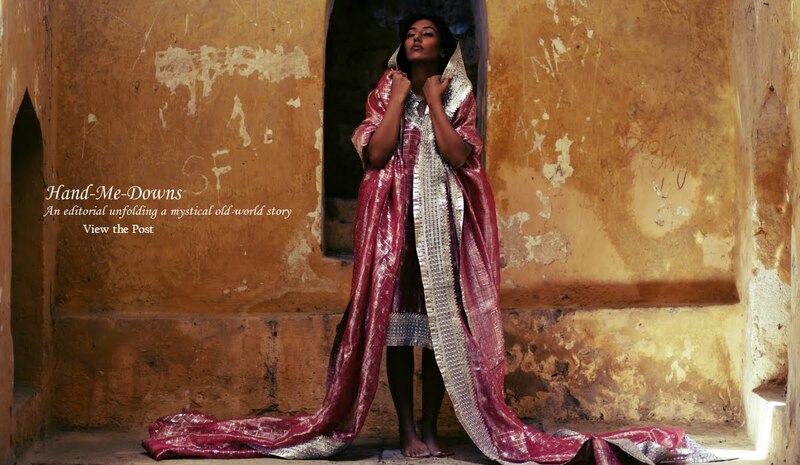 This fashion story portrays a woman who is a fusion-wear lover and likes to experiment with her looks. 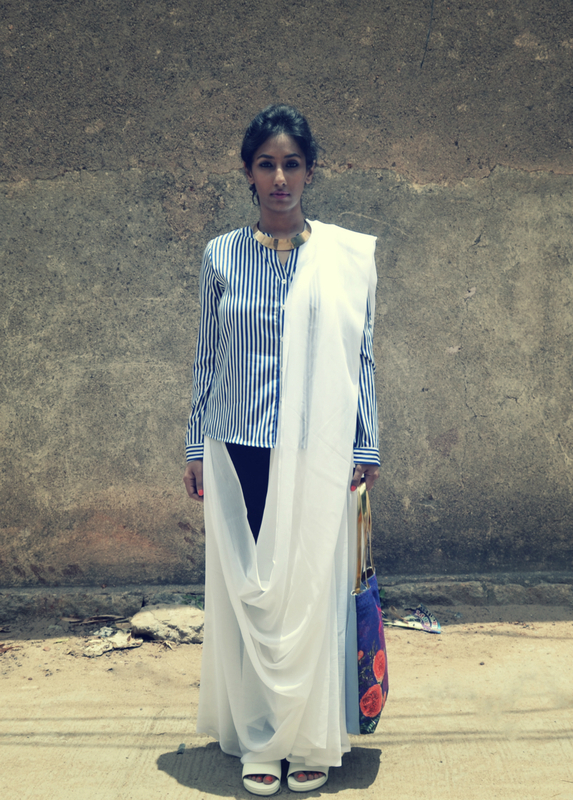 Someone who’s confident enough to walk the streets wearing a sari draped over formal pants and a nautical shirt as a blouse. 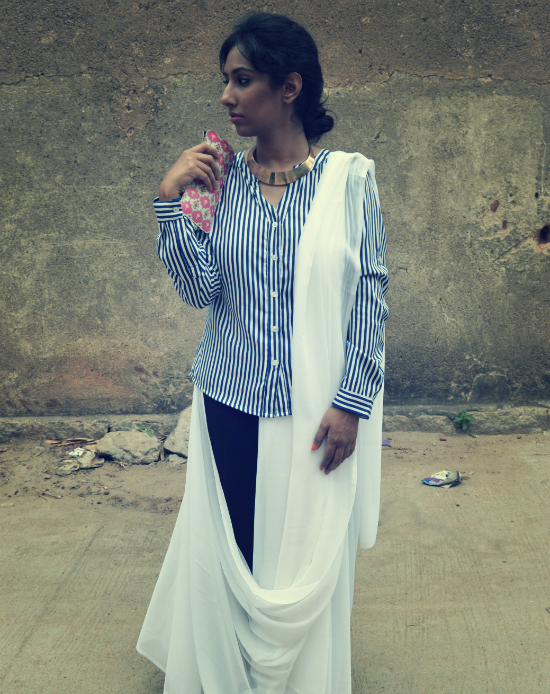 Someone who doesn’t feel the necessity of wearing heels with a sari. Someone who dresses only for herself and expresses her personality through her clothes. 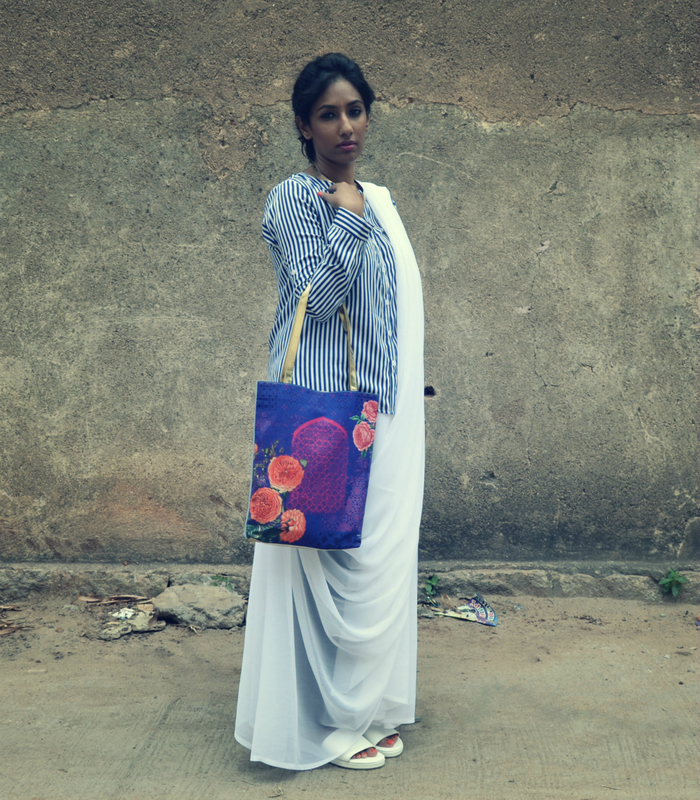 Recently India Circus had sent me some of their products to be featured on I Dress for the Applause. 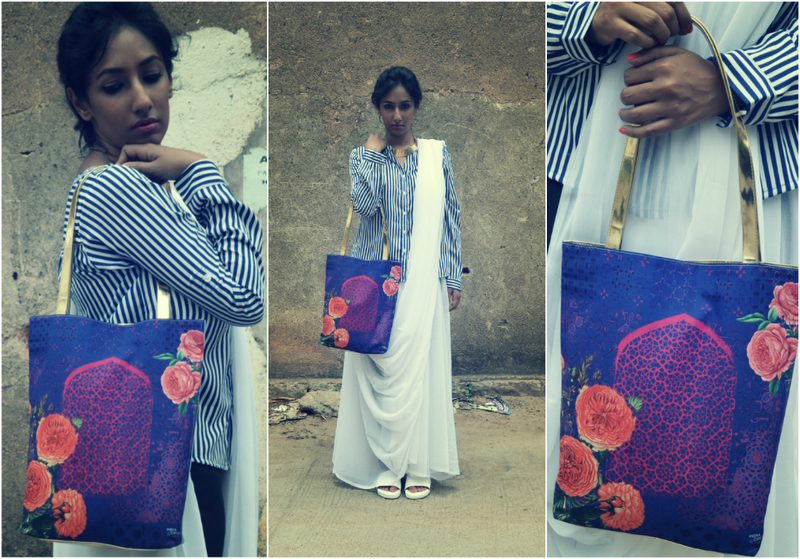 The moment I unwrapped the parcel to see this Blue Floral Jhola bag, a picture of a woman wearing something like this flashed in my mind and it barely took time to put this look together to go well with this blue beauty. 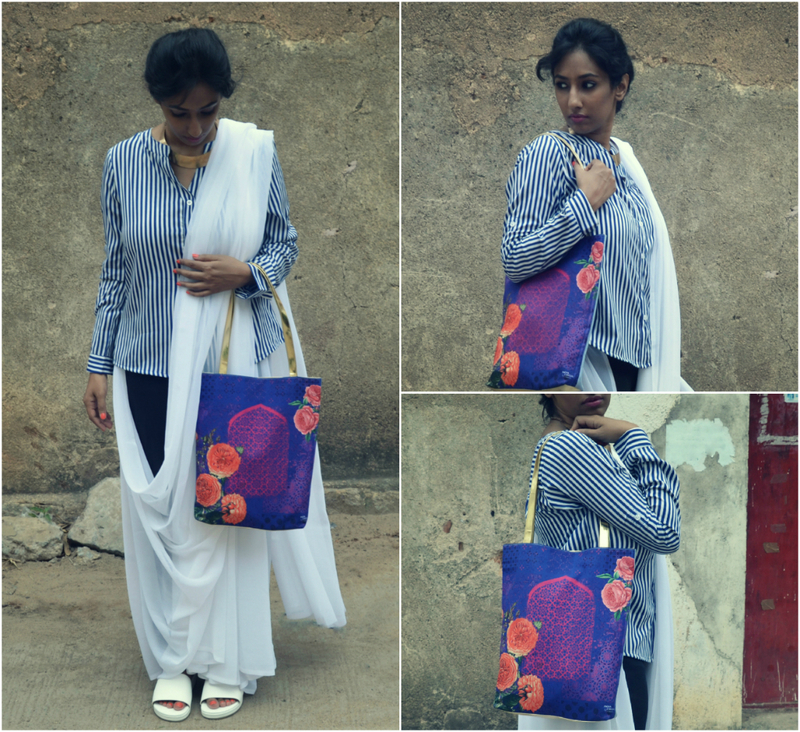 The unique color contrast on it with coral rosettes and an old-world window against a midnight blue background brings about a feel of carrying a beautiful li'l garden on your shoulder. 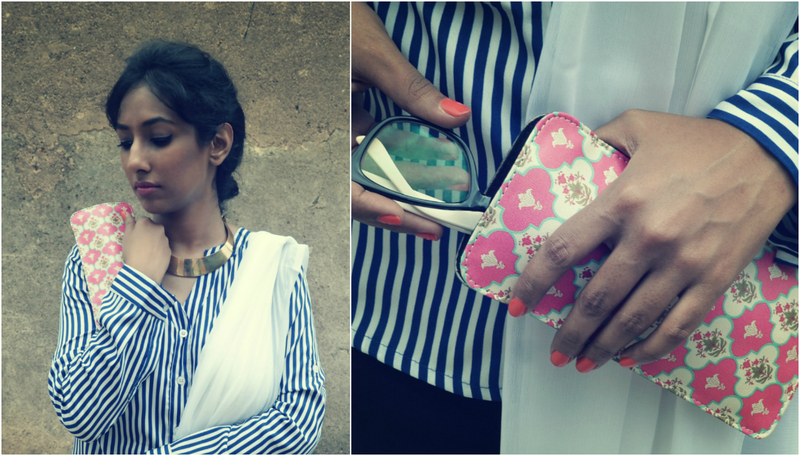 Bright color on the nails and a gold neckpiece completed the look. 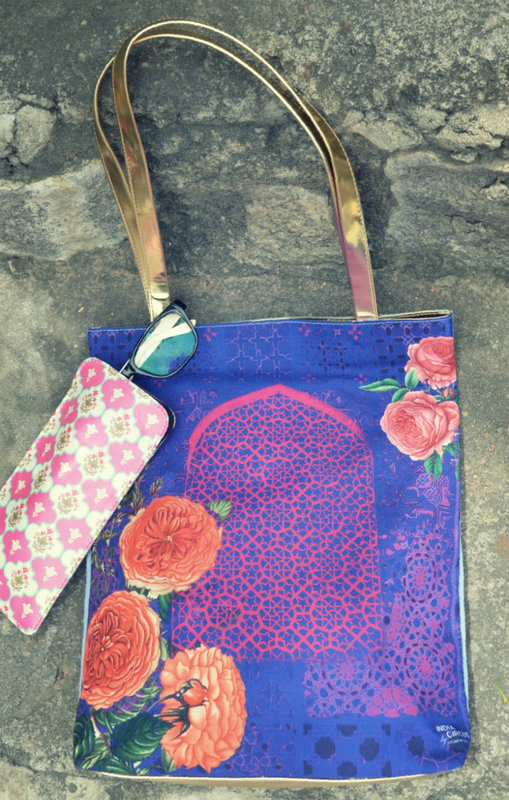 Also came with the bag a vibrant hued spectacle pouch which has an imperial print on it and is a good option if you want to replace your old boring spectacle case with something fun and interesting. 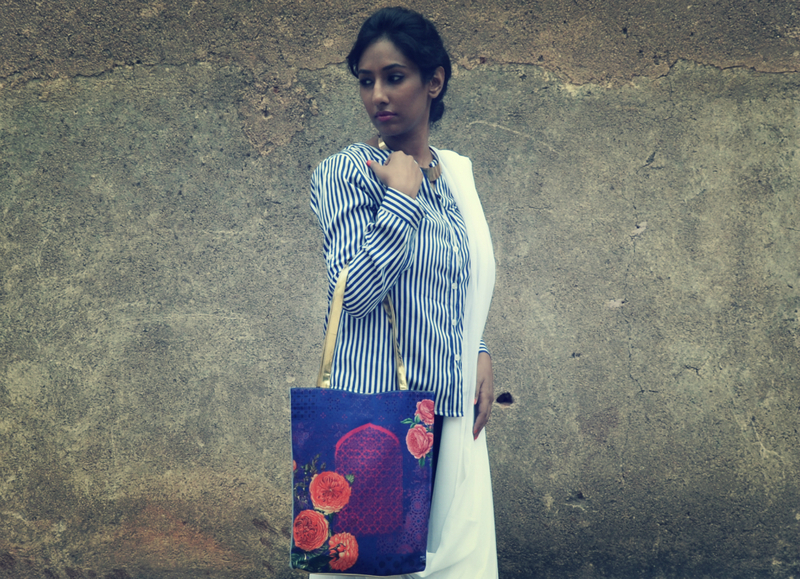 India Circus (like the name suggests) is a contemporary take on Indian designs made to suit today’s urban lifestyle. Bright colors and quirky prints with wide range of products ranging from home décor to fashion apparel, wall art to accessories, the label has something for everyone. 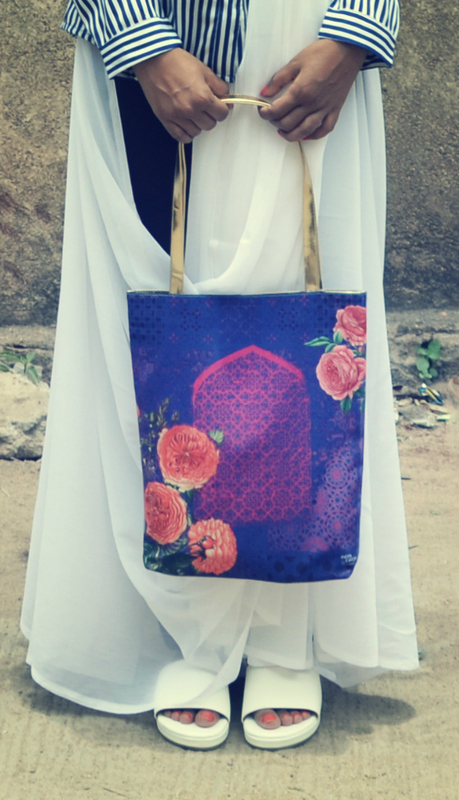 Do check out their website here to explore an eclectic mix of Indian designs and modernity. It is sure to leave you intrigued.